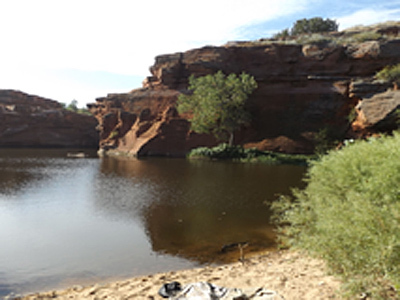 Two Buttes Reservoir – Martinez Associates, Inc.
Martinez Associates was retained by Colorado Department of Parks and Wildlife for quality assurance testing of construction materials. We were also to represent them on-site and assist Baca County with construction means and methods for the canal repair. The county had elected to use their own personnel and equipment to reduce the cost of the repairs. 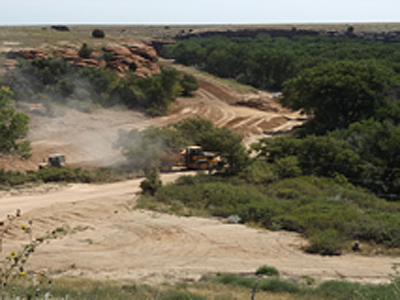 Two Buttes reservoir canal repair project was located in Baca County about 25 miles north of Springfield, Colorado. The spillway canal had been washed out by the flooding in 2013 and needed repair to remain operational with the Colorado State Engineer’s office. Martinez materials testers and inspectors observed the excavations and performed field moisture-density testing of the canal backfill. We also assisted Baca County on how to moisture condition and compact the on-site material used in the backfilling of the canal and construct embankment and slopes. During the course of the repair work, the county had to back out of the project as its personnel and equipment were needed elsewhere. At that time a private contractor was brought onto the project and Martinez continued to provide the testing and observation services through completion of the repair work.